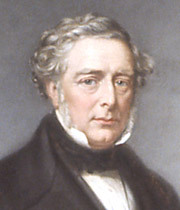 In the years following his return from Columbia, Stephenson not only revived the locomotive works and oversaw the ongoing development of steam engine design: he also assisted his father as engineer on the Liverpool & Manchester line and was soon building railways himself. The first of note was the Leicester & Swannington line, a 30 mile stretch delegated by Stephenson Sr, as well as minor lines such as the Canterbury & Whitstable, which opened 3 May 1830. His first major undertaking as chief engineer was the London & Birmingham line. This was begun in 1830 and consumed the next eight years of his life. It opened for limited traffic on 24 June 1838, three months before the official opening on 17 September, and was soon full to capacity. Following his father, Stephenson was an adherent of the "level road" in the construction of railways. His lines, like Brunel's and unlike Locke's, avoided curves and gradients as far as possible. This results in a railway that is more direct and cheaper to run, because the trains use less fuel  indeed, many of Stephenson's and Brunel's routes are used as main lines to this day. However, this approach adds considerably to the difficulties and cost of construction, as Stephenson was to find at Blisworth, Kilsby, Primrose Hill and numerous other works along the London & Birmingham line. From 1938 until the end of his life, Stephenson was to be occupied with railway engineering in Britain and overseas. Building railways necessitated the construction of a multitude of bridges, and Stephenson's contributions to bridge engineering rank among his greatest achievements. In the 1840s, the Newcastle & Berwick line required no less than 110 bridges, including the High Level Bridge at Newcastle and the Royal Border Bridge at Berwick. 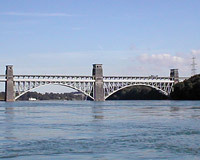 The Act for the Chester & Holyhead line was passed in 1844, and Stephenson had to confront the challenge of passing the railway across the Menai Strait. "I stood," he says in one account, "on the verge of a responsibility from which, I confess, I almost shrunk." His fears were justified: in 1847, one of his railway bridges over the River Dee near Chester collapsed under a train and five people were killed. At Menai, though, Stephenson was to succeed spectacularly. He spent months experimenting with materials and structures, collaborating with William Fairburn and Eaton Hodgkinson, to produce his groundbreaking designs for the Conwy and Britannia bridges. His process provided a foundation for the development of structural engineering as a discipline, while his tubular structure became the exemplar for the use of iron in bridge building. His essay on "Iron Bridges", written for the 8th edition of the Encyclopaedia Britannica, is the only substantial text he produced in his life. Stephenson again used the tubular design for Victoria Bridge in St Lawrence, Canada. This opened in 1859 and was for many years the longest bridge in the world. His expertise in building railways and railway bridges was in demand all over the world, and two further bridges in Egypt followed, as well as thousands of miles of railway line. Britannia Bridge today — only the stone elements of Stephenson's original remain. Stephenson's iron tube was weakened by fire in 1970 and has been replaced by a series of steel arches. A second level has been added to carry the A5 across the estuary.